Bellevue Forest is a tranquil neighborhood of largely single-family homes located in the northern reaches of Arlington County in Arlington, Virginia. Residents are drawn by its security, natural setting and homes set against a backdrop of gentle hills and valleys. The community is also home to four parks and a variety of recreational activities. The housing stock includes a number of architectural styles marked by builder trends at the time and range from ranch homes to 1.5 story traditional homes to English Tudors and Colonial Revivals – all on generous, wooded lots. 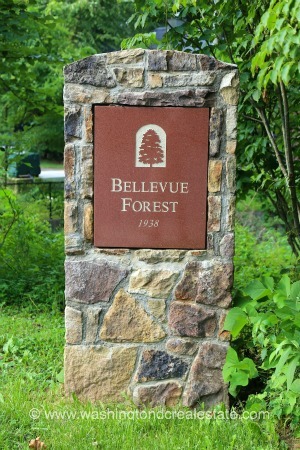 Bellevue Forest is located between the George Washington Memorial Parkway and Military Road on the east and west and Gulf Branch and Donaldson Run and the Potomac Overlook Regional Park on the north and south.